Fancy some affordable footwear with a designer twist? Then Lunar shoes are for you. This gorgeous shoe brand aims to create new, elegant and colourful shoes that are reasonably priced too. Using materials and trims usually found elsewhere in the fashion world, Lunar ladies shoes have that designer feel without the hefty price tag. Established in 1990, Lunar shoes are hugely popular due to their passionate approach to footwear design so we’re sure you’ll find something you love. As Lunar shoes stockists we’re proud to bring you an elegant online range to choose from. If you love bright colours and jewelled trims then you’ll be sorted for summer with the variety of lightweight Lunar sandals suitable for any occasion. Choose from flat, toe-post, strappy and wedge heels to find your perfect match. With sturdy outsoles and breathable midsoles with added cushioning, you’ll find these casual styles feel comfortable and springy. If you prefer to keep your tootsies under wraps why not opt for a fashionable slip on instead? As always you can expect free delivery and unbeatable prices when you shop with Shoe Zone, so why delay? 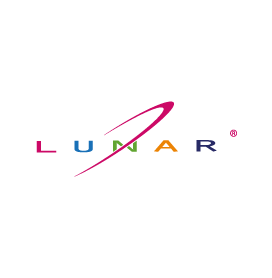 Order your perfect pair of Lunar shoes today. 56 products from £14.99 to £29.99.